Imago Dei. Image of God. We often hear this phrase tossed about in parochial education, but what does St. Jerome really mean when we say that we believe each child is made in the Image of God? It means that we understand that each child has a supernatural destiny. It means that we affirm the dignity and humanity of all students. And it means that we believe that all children, by virtue of their humanity, deserve and benefit from an education in truth, beauty and goodness. It also means that we do not just say these things, but we live them out daily. St. Jerome does so much more than give lip service to this principle, but our school shows—in ways both beautiful and concrete— what it means to believe that all students are made in the Image of God. 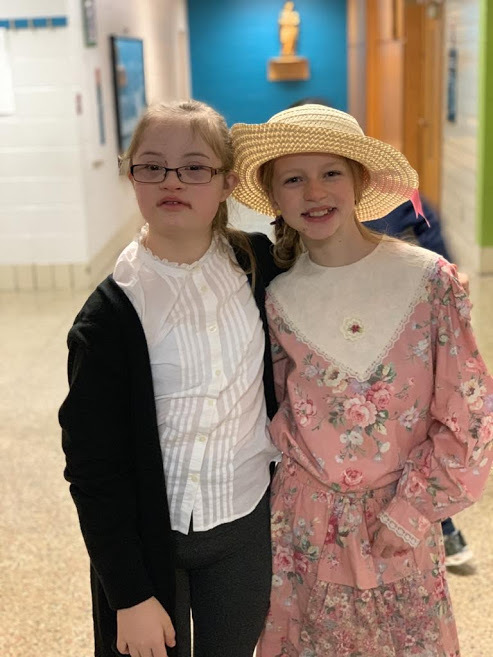 Here at St. Jerome several special-needs students have not just been admitted, but these students have also been embraced in all aspects of school life and are loved by their peers and teachers. St. Jerome has also affirmed its commitment to inclusion by welcoming several new Karen families this school-year. These refugee families now have what they most desired for their children: an education centered on Christ. What a beautiful witness to the Image we all share to see these new students and our past students grow together this year. St. Jerome has also worked hard to remain one of the most affordable Catholic schools in the Twin Cities, and now offers that affordability even while it has pivoted to the richness of a classical model of education. What motivates all of these beautiful acts? The foundational belief that all students are Image Bearers and need the true, good and beautiful—and, their source, Christ. This “first step” in education is most definitely the first step at St. Jerome. We are building off of a sound beginning. Speaking of a sound foundation, stay tuned for our next post where we will look at the importance of character formation in education. Look at those beautiful faces!